Jason Cosper | Semper fudge. I know things are normally pretty quiet around here. But I have some actual, legitimate news. In just a couple weeks, I’ll be joining the Managed WordPress team at Liquid Web as their Senior Performance Engineer. It’s an opportunity for me to get out of Marketing—where I’ve been broadening my skillset since last fall—and back into implementing things that impact users. The decision to leave WP Engine was hard. In the five and a half years that I’ve been there, we’ve managed to grow the company from five employees in Austin (with me working remotely) to over four hundred and fifty across five offices in the US and Europe. I’m incredibly proud of what they’ve been able to build, as well as the hand that I’ve had in helping to do that. However, when the opportunity came to work with the team that Chris Lema has put together, I couldn’t pass it up. It was simply too exciting. So exciting that I don’t even know what else to say without turning this into a big, rambling, 4500-word post. Seriously. The previous revisions of this draft post go to some really weird places. And because I’m not really interested in tying my disjointed ideas together right now, I’ll spare everyone the word salad and post a GIF of how I’m feeling instead. While I find the official WordPress Slack team incredibly useful, the sheer scope of it — over 10,000 users & 66 channels — makes the copy of Slack on my desktop ridiculously sluggish. It’s actually pretty crazy how much lower the RAM usage on my machine is when I remove the WordPress team from the app. I’ve gone with a modified version of option #3 thanks to Nativefier. It quickly wraps any site in an Electron shell and creates an executable for your operating system. 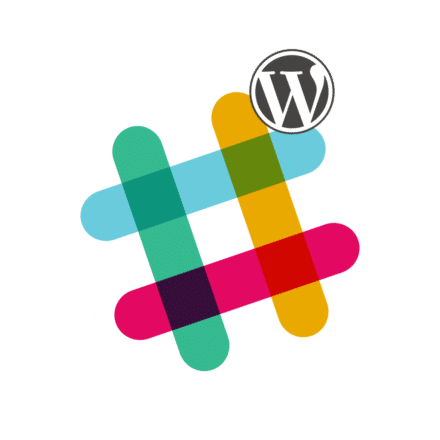 So now I’ve got an app just for WordPress Slack. My (7) other teams can stay snappy and I can restart the Electron app as needed when RAM gets tight. And if you’re using a Mac, you can have it too… Just click the image below to grab a (totally unsupported) copy. Pardon the hastily thrown together icon. It’s this Dribbble shot plus a plain ol’ WordPress logo. To be honest, I wasn’t looking to blow a whole lot of time on this. And I didn’t. So that’s cool. Hopefully at least one other person finds this useful!